I love the idea of waiting until your baby shower to reveal the gender of your baby. It keeps your family and friends guessing, and it adds a little fun and games to the day. There are so many unique and cute ways to reveal the big news. 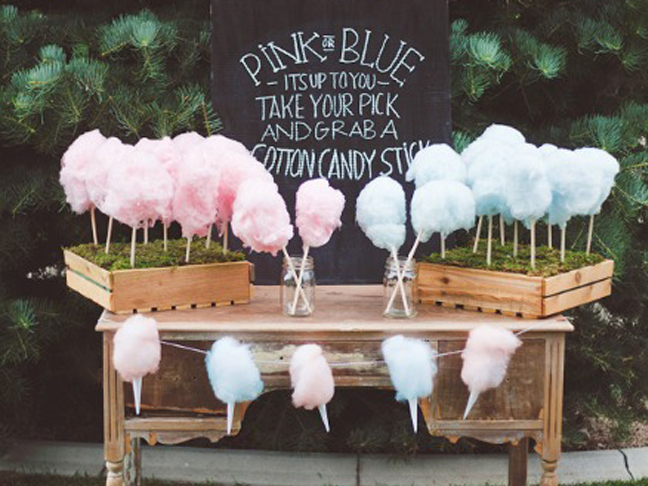 Whether it be with balloons, confetti poppers, or a sweet treat, I hope these gender reveal ideas spark your imagination! Blue or pink; boy or girl? What will it be?! 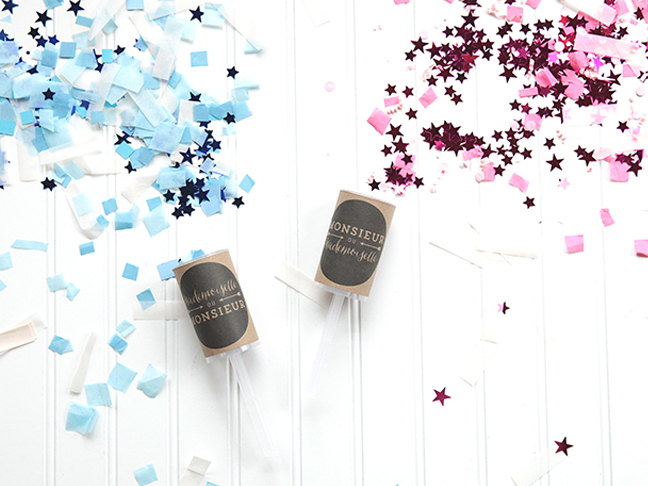 These DIY confetti poppers are definitely my fave. At the end of your shower have everyone pop one and find out if you’re having a girl or a boy! 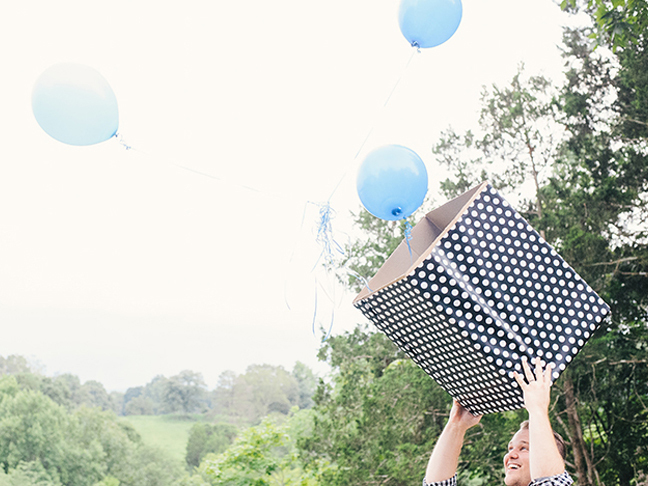 I love this idea of releasing blue or pink balloons from a cute box. Such a fun way to have your guests counting down till the “big moment”! 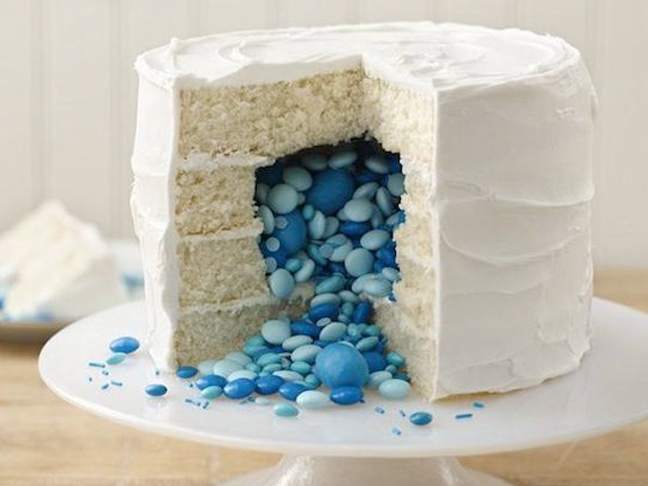 This M&M cake is fabulous! Not only does it look delicious, but it is so unexpected. Have your guests predict what your baby will be. Have them pick a pink or blue cotton candy stick. YUM! Of course, be sure to let your guests know that it’ll be a gender reveal shower with an adorable invitation! BUZZ!! 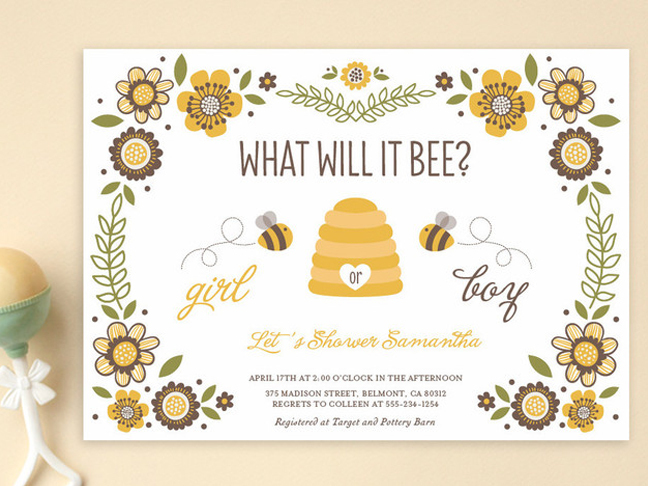 How cute are these bumble bee baby shower invitations from Minted?! 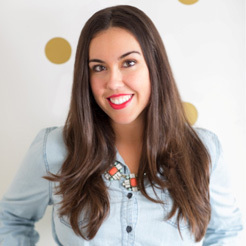 How to Plan a Disney Themed Baby Shower?